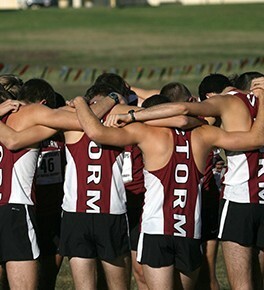 EDMOND, Okla. — Southern Nazarene’s men’s and women’s cross country teams both took seventh place at the UCO Land Run hosted by the University of Central Oklahoma. On the women’s side, Megan Johnson led the way with an individual third place finish and a time of 19:22.87 on the 5k course. Andrea McKinney ran a 21:05.27 finishing in 35th place and Morgan Sawyer had a time of 21:47.39 with a 52nd place finish. Kate Srader ran a 23:01.73 finishing in 68th place while Emily Keller finished at 23:09.65 ending up in 70th place and Melissa Hampton ran a 24:24.97 landing at 78th place. Jennie Liles finished with a 24:56.89 and finished in 84th place. Oklahoma Baptist took the overall spot, while Rogers State and Central Oklahoma took second and third. Southwestern Oklahoma State finished ninth. Oklahoma Baptist’s Hannah Helker took the individual title with a time of 17:47.36. Grayson Haws was the top finisher for the SNU men as he ran a 21:41.95 in the four-mile run and finished in 16th place. Andrew Leahey was not too far behind Haws finishing with a time of 21:54.35 and ended up in 22nd place. Luke Winslow had a time of 24:16.68 and finished in 64th place while Jacob Williams recorded a time of 24:50.16 and placed 69th. Richard Mead ran a 27:56.19 and finished in 77th place. Adam Youngbear finished in 79th place and recorded a time of 29:14.63. Oklahoma City took the team title while Oklahoma Baptist and Cameron University finished second and third. Oklahoma Baptist’s Adam Godwin won the individual title at 19:48.75.